Blue Wave Aquatics was known as Federal Way Masters for over 26 years. The name Blue Wave Aquatics was officially approved by the members at the Annual Meeting on November 20, 2010. Federal Way Masters started in 1974 when a few swimmers at the old pool next to Federal Way High School decided to slow down the aging process by putting in a more disciplined effort. The founding swimmers met on a regular basis and took turns designing and coaching sessions. A few of the original members still swim with the team. In the early 1990’s, the Weyerhaeuser King County Aquatic Center (KCAC) was built. This prestigious pool attracted more swimmers serious about competition. The first meet held at KCAC was a US Masters meet hosted by the Federal Way Masters. Federal Way Masters continued to grow with more swimmers and additional work-outs over the years. Leadership from coaches Malcolm and Wendy Neely developed workout sessions focusing on technique. They encouraged competition for those who want to compete, and fitness and health for everyone. Wendy has been the head coach for the past ten years. She continually improves her coaching skills and designs varied workouts to develop all strokes for all levels of swimmers. Wendy designed a lesson program called Tri-Time to attract triathletes to improve their swimming. This has been a very successful program that has become a feeder program into US Masters swimming. Private swim lessons are also offered to adults. In 2010, Whitewater Aquatics, in Burien, was looking for a partner to help manage their Masters swimmers. Ten swimmers and four workout sessions were added with that merger. Also in 2010, a group of Tri-Time swimmers created a critical mass in Fife to form a new workout group at the Fife Pool. A group at Kent Meridian Pool had been part of Federal Way Masters for several years. As a result of this large growth in 2010 and expansion well beyond Federal Way, the Board decided to change the name to Blue Wave Aquatics and to expand the focus beyond US Masters swimming to provide opportunities for adults to achieve success and build confidence in swimming at all skill levels through a variety of programs. Today there are 21 coached workouts each week at five different pools. In addition to heath/fitness and competition, Blue Wave Aquatics is also a social group that grows friendships with swimmers. Working out together, traveling to swim meets, and teaming on relays grows friendships. 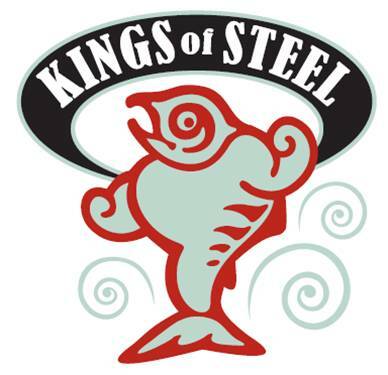 The team sponsors the Men and Women of Steel open water swim/picnic each September at Steel Lake. Families and friends are invited to participate. Each year, the team hosts a holiday party with a fun White Elephant gift exchange and a donation to a local charity. Blue Wave Aquatics is a diverse group of athletes who like to share their passion about swimming. Come join the team for a week’s free trial and meet the awesome coaches and team members. Blue Wave Aquatics is a non-profit 501(c)(3) corporation.